The big toe is the leader of the foot. It is the thumb of the foot that creates a grip and anchors you to the ground. The big toe helps to root you into the earth, helps to loosen tight hamstrings and helps you to extend your spine. 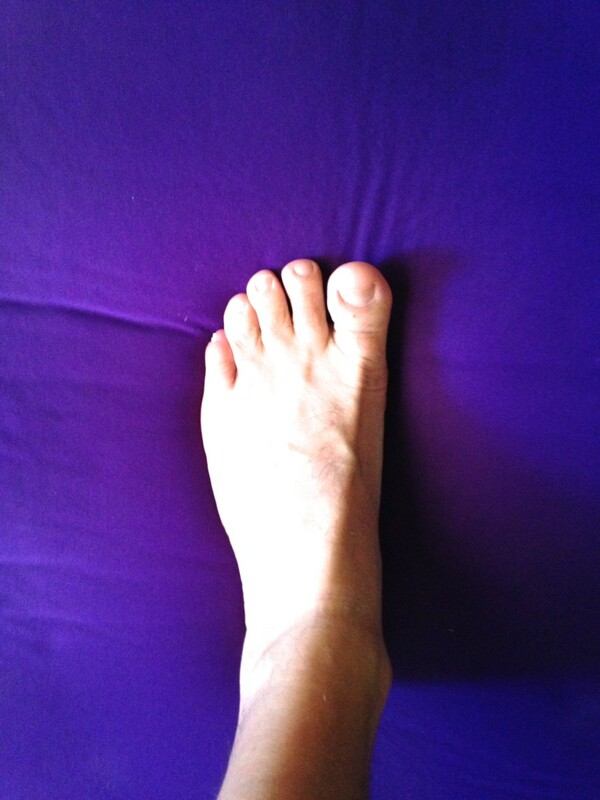 Many seasoned Yogis believe that it is wise to pay special attention to the big toe or the Hallux. Often when we do yoga we need a drishti or a focal point. 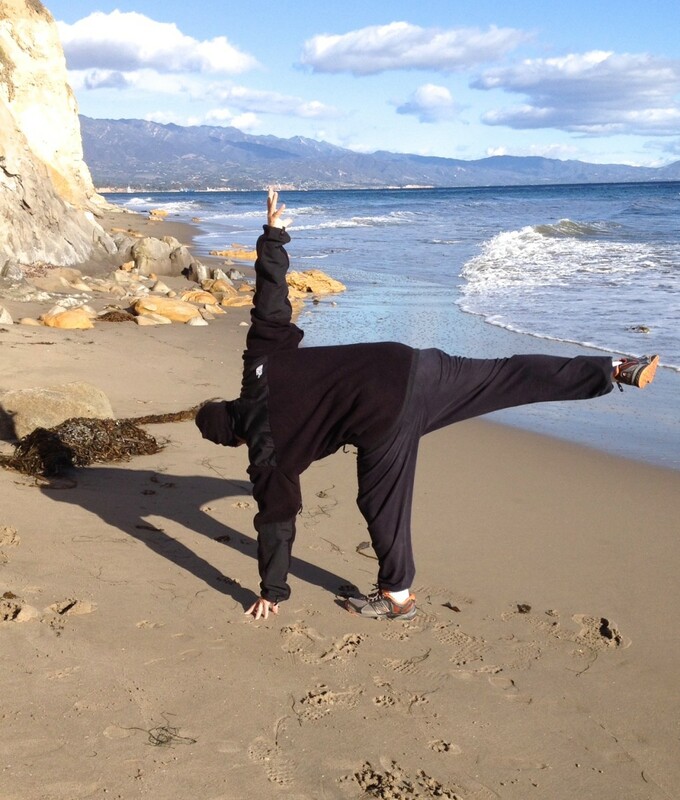 For me, my mind's eye goes to the big toe in a lot of balancing poses--my drishti is the big toe. I don't need to look at it--I can feel it. 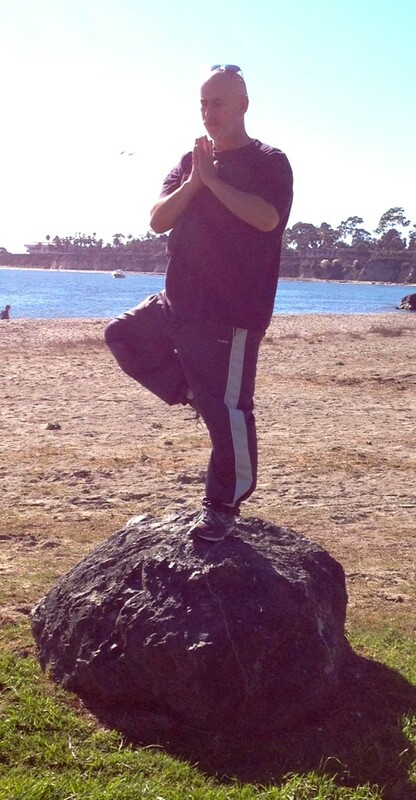 It enables me to enlist my strength and to balance in such poses as Warrior 3 and the Tree Pose just to name two. Before my asana practice, I loosen up my big toe and stretch it to make sure that it is prepared for the rigors of yoga. I can be seen on my mat sitting on my toes, folded under--as well as sitting on the tops of my toes in Hero Pose. It is good to know a little more about the big toe or Hallux and the other parts of the foot. There are twenty-six bones that make up the human foot. The big toe is sometimes referred to as the Great Toe and even as the Thumb Toe. It is the largest toe on the foot and is counted as digit #1. 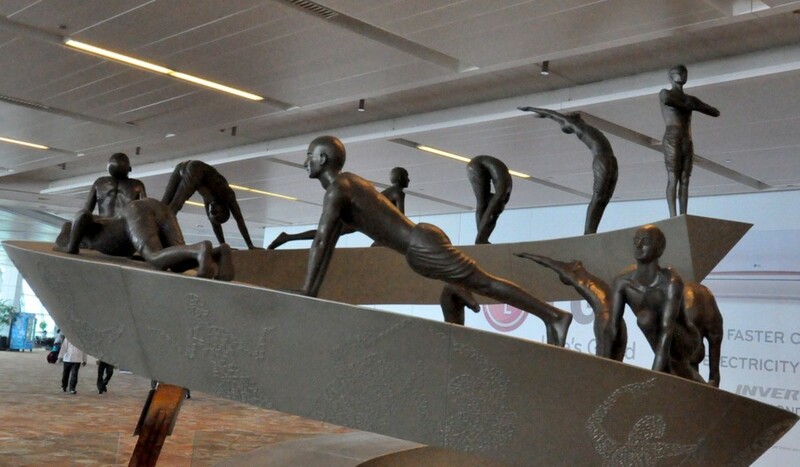 In yoga, at least for me, it is certainly numero uno. That's where my mind is. That's where my focus is. My big toe accompanies my breath like two good friends. The Flexor Hallucis Longus Tendon is the tendon that connects your big toe to the rest of your foot. The big toe carries the most weight, about 40% of the body load. If you lost your big toe it would take you a while to relearn to walk--but it's possible. The big toe is the last part of the foot to push off the ground before taking the next step. Missing a big toe will disqualify an eager enlistee from the armed forces. What Part of Your Body do You Focus on During Your Yoga Practice? 1. Your Alignment. When you align in Mountain Pose your big toes touch. You press down on your toes and you extend you spine and sternum upwards and engage your leg muscles. The big toe helps to initiate this lengthening process as you are in the Mountain Pose. 2. To Relax. When you are in Child's Pose your big toes touch. The very act of the toes touching relaxes you and energizes you at once. Throughout a yoga session you will hear your teacher say, "And bring your big toes together." In Child's Pose, a place you go to gather yourself and to slow down your breath, your toes touching make you feel grounded while preparing you for the next pose. 3. Balancing. When you are in Tree Pose, you press down into your big toe to help you rise up as well as root down to the floor. It helps you to scissor in, pulling the body closer to the center line that is necessary in maintaining balance in yoga. 4. Stretching your hamstrings. In Standing Forward Fold or Standing Straddle Fold, the more you press down on your big toes, the more you will notice the stretch in your hamstrings. This pressing down of the big toes helps in lifting your pelvis and stretching your spine as well. Remember, the looser your hamstrings the more flexibility that you have in your practice. 5. Strength. In Warrior Pose, pressing down your big toe in the front leg helps you to be stronger in the pose and to have more endurance. And by pressing the big toe on the back foot it allows you to not only be strong, but to stretch your hamstring as well to raise your sternum and spine upward. While every Yogi knows it's important to have conscious breath and proper alignment in yoga--don't forget your big toe. In yoga, your big toe is your friend, your ally--the part of your body, along with your core, that can help you maintain balance and strength and focus during your yoga practice. As we become more and more aware in our yoga practice, we eventually become aware of our whole body. It is also the big toe that we begin to notice more and more. It is the big toe that we should be grateful for. It is the big toe that we grasp in Cobbler's Pose. It is the big toe that we hold onto when we stand or lie down and extend our leg forward and sideways. It is our Yoga Toe Lock. The more we are mindful of the big toe, the more we strengthen it, and the more we become aware of its importance in our daily practice. If we're lucky, the more the big toe will become our good ally. Please comment on how your big toe impacts your daily yoga practice and how it has become a part of your yoga consciousness. I like your hub Mark.